A few days ago was one of the year's most important Virtual Reality events. Here’s a recap of the 9 key new features at Oculus Connect 3. You will be able to add a third sensor to get Oculus's version of room-scale VR. 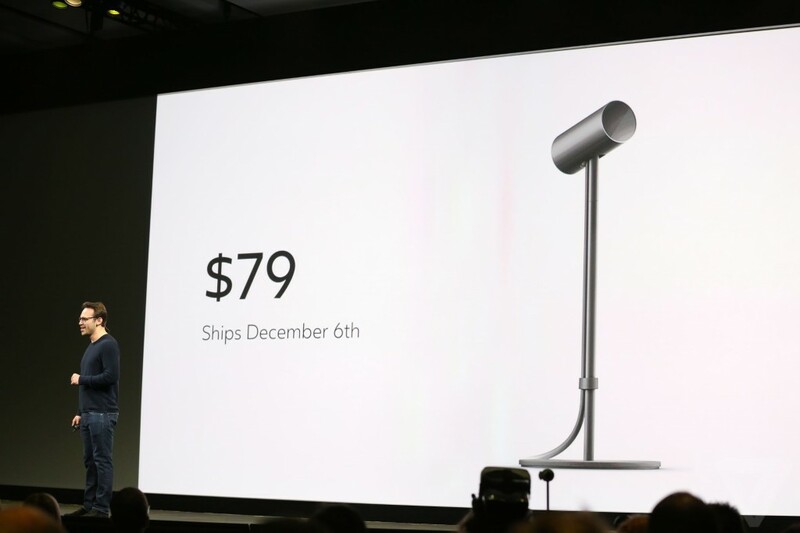 Release date is set to be December 6th with a $79 price tag. 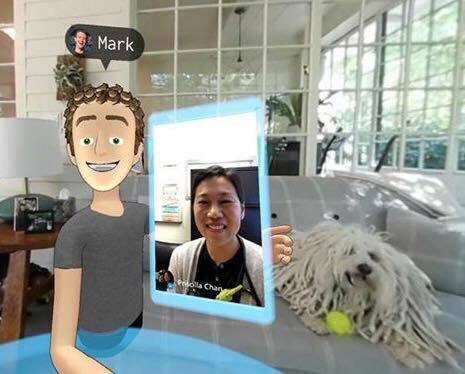 Zuckerberg is an obvious VR fan, investing over 2 billion dollars in the tech proves it. He did an extensive live demo of a new social experience Facebook is building for VR and explained how he's been sharing VR with world leaders. He played cards, chess, fought with swords, visited a live 360 view of his office, and then said hi to his dog, accompanied by Lucy and Michael. They even brought in Mark's wife Priscilla for a video call in VR. 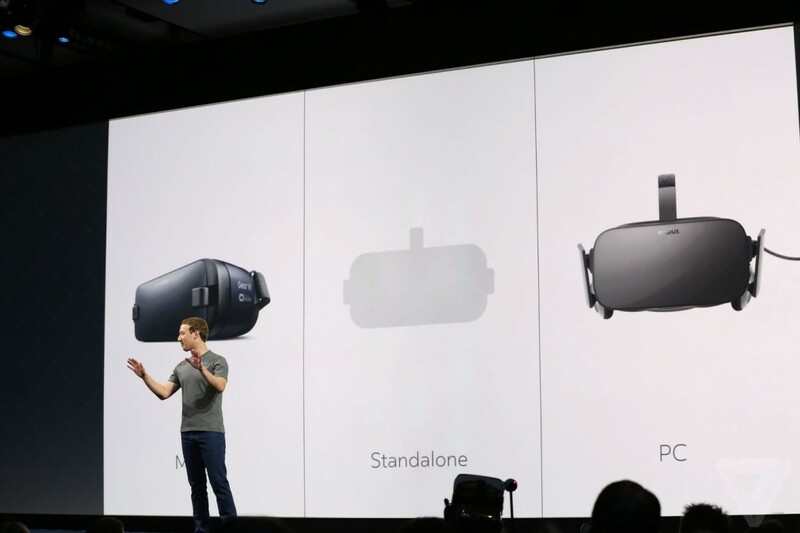 Facebook’s CEO also announced an upcoming standalone VR headset, designed as a happy medium between the enthusiast-centric Oculus Rift and the affordable, but limited Gear VR. It will have position tracking, which is the biggest differentiator between mobile and desktop VR experiences right now, aside from graphic fidelity. 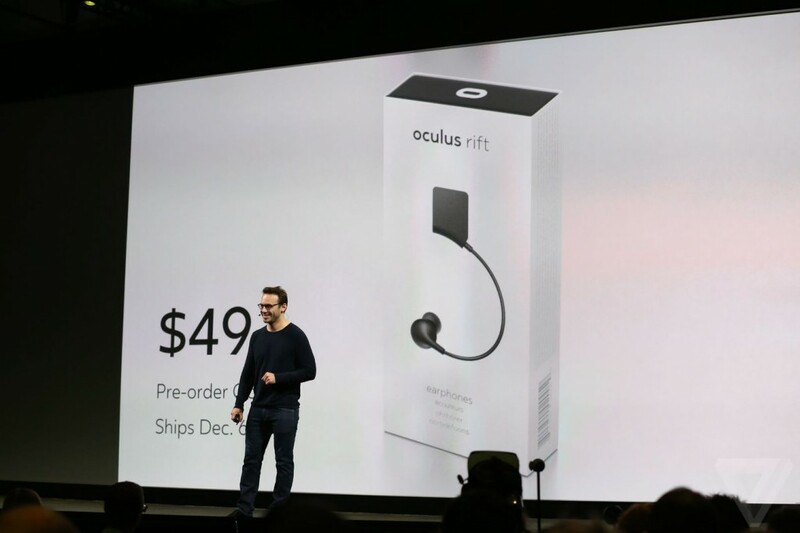 The headset is still a prototype, and there is no word on when it's expected to ship. 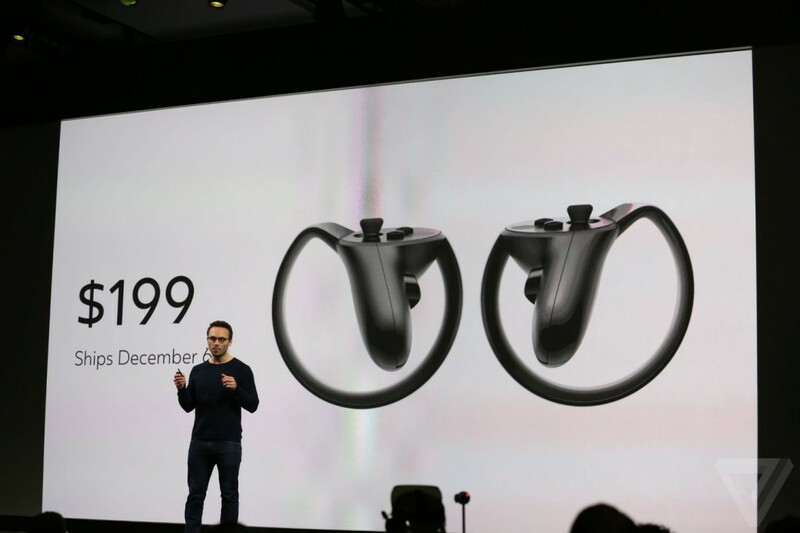 We'll have to wait a little bit longer, but Oculus finally announced when we can get our hands on its motion controllers: December 6th. The controllers cost $199, and include an extra camera sensor for tracking. You can also add a third sensor for $79 to get Oculus's aforementioned version of room-scale VR. Shipping in December are new in-ear Rift headphones, which can be swapped in for the existing on-ear headphones the Rift comes with. Oculus is making customizable avatars and a cool hangout spot where you and seven friends can hang out, play games and enter VR games together as a party. What's a VR ecosystem without games? Oculus wasn't miss out on showing off a few upcoming titles - a bunch of Oculus Touch games are on their way! 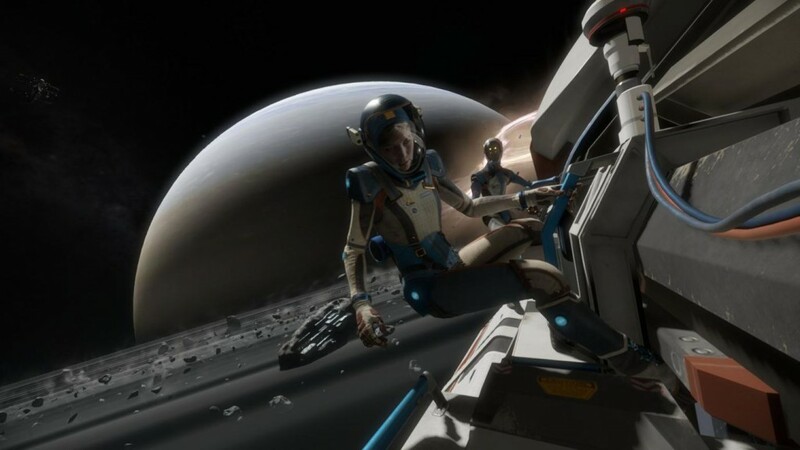 Robo Recall and Lone Echo in particular look amazing. 8. VR Disney and Blade Runner Experiences! 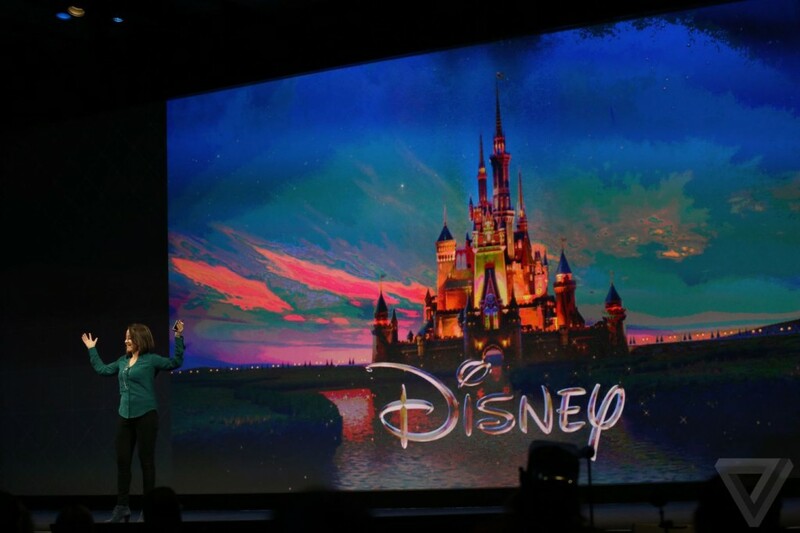 Oculus announced a partnership with Disney for original short films based on classic characters. experiences based on the upcoming Blade Runner film as well. We can’t wait! Oculus head scientist Michael Abrash talked for half an hour about how VR tech will progress in the next five years. It was technical and inspiring. His story of how John Carmack recruited him was exceptionally touching, and underlined the passion that exists at this company to make VR a reality. It's reflected in the big checks Oculus is cutting to prime the content pump, and in the sheer enthusiasm of people like Abrash and Carmack. What were YOU most excited about? Let us know on our Facebook page or Twitter!